The inaugural Georgia Race for the Cure® Kutaisi was held on Saturday, September 12th at Central Park. 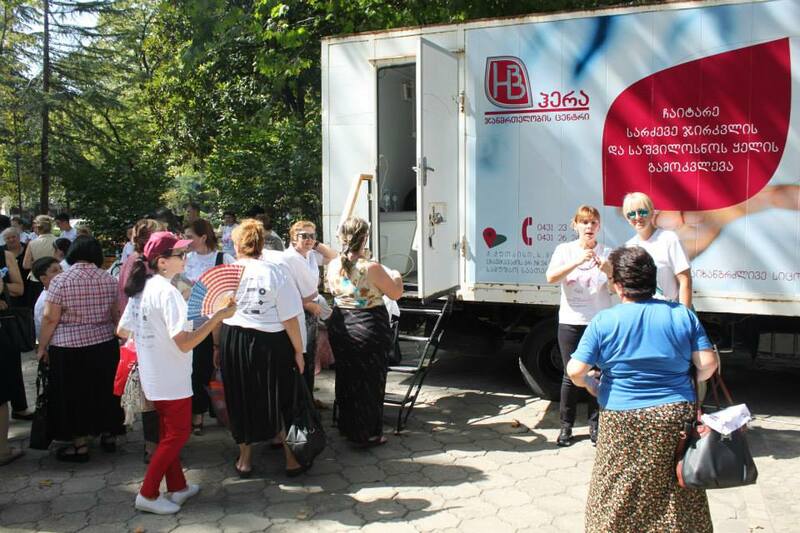 The event was organized by Women Wellness Care Alliance HERA, its Proud Partners and additional sponsors including Kutaisi City Hall and McDonald’s. The successful event had an amazing turnout from local families and community leaders with participants donating over 100 GEL from their own pockets! Women lined up for free mammograms; children had their faces painted; spectators enjoyed the works of local artists and everyone received complimentary t-shirts, water, educational materials and breast health consultations.